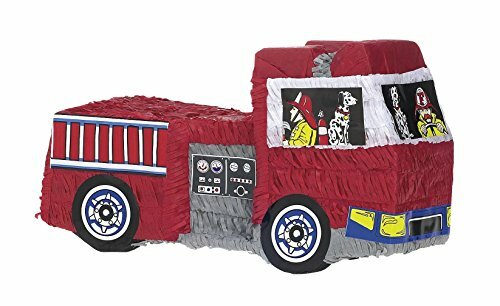 Our Fire Engine Pinata will give your budding firefighters candy and excitement. Kids will love trying to knock the candy out. Each Fire Engine Pinata measures 20 inches long x 10 inches high x 6 inches deep. B000JYBDM6 is not a valid value for ItemId. Please change this value and retry your request.